Michigan State University (MSU) engineers have developed a statistical model to protect roadway surfaces by measuring the depth of freezing underneath. By providing better data about when to post or remove load limits, the model can save money for local governments by reducing road repairs, while helping the trucking industry avoid costly delays or fines. The model was developed by Dr. Gilbert Baladi and Pegah Rajaei at MSU’s Department of Civil and Environmental Engineering, in cooperation with the Michigan Department of Transportation. It predicts freezing under the roads using air temperature data and the thermodynamic properties of the soils. In a multi-year study using data from subsurface temperature sensors at 25 stations across Michigan, the researchers were able to predict the freezing depth in different soil types. 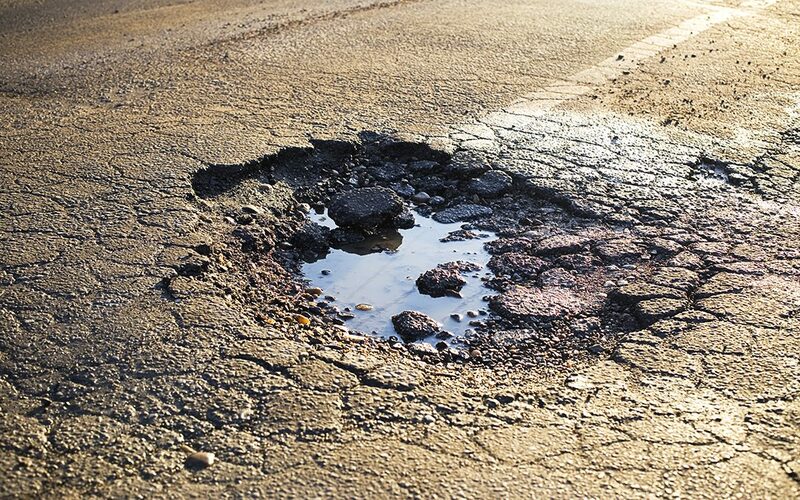 The cycle of thawing and re-freezing during the late winter and early spring is one of the biggest causes of road damage. Roads are especially vulnerable to heavy trucks at this time. To reduce the destruction, Michigan and other states have enacted “frost laws” that restrict big rigs from carrying heavy loads during thawing season. Imposing these laws at the wrong time can have substantial financial costs for both highway departments and the trucking companies. Posting the load limit too early or removing them too late means the trucking industry misses profits from hauling larger loads. Posting the signs too late or removing them too early usually means a summer of patching potholes and related problems. The MSU research team has tested the statistical model in other states and accurately predicted the frost depths for 10 years. Data-driven frost laws in Minnesota have increased the service life of some asphalt roads by an estimated 10 percent, with total estimated annual savings of $14 million. Dr. Baladi said it might be a few more years before the data-driven program is instituted for all of Michigan. Read more at www.michigan.gov/mdot, report RC-1619. For more information, contact Gilbert Y. Baladi, PhD, at baladi@egr.msu.edu.